"The goal in life is to make your heartbeat match the heartbeat of the universe. A Place for Awareness, Knowledge, Inner Peace and Power. The Highest Potential for all. 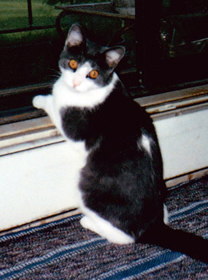 Maja is a spirit wolf who came to me when Sophie, my first cat of my adult life, ran away. Gone for 12 days (she told me she had died), I was overwhelmed when she returned safe and sound. 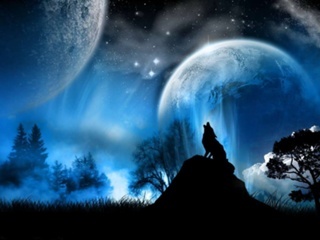 The night before she came home, I dreamed a wolf was with her and as she came through the door, I felt the wolf energy. Maja has been with me ever since and has been an integral part setting up Maja's Circle. She comes as a spirit guide honoring Universal energy and is the unconditional love and trust that surrounds us all. She is the energy of the circle...all encompassing, all-inclusive. The circle does not end, nor begin; it just is. It is about being, not about becoming. It is all in One. Maja shows her energy differently to all. Though wolf in form, you may see her as an Arctic wolf, timber wolf, pup, adult, sleeping, running or howling. It depends on the person and how Maja chooses to make herself known. For me, she is an Arctic wolf, running through the frozen tundra of the Great White North. Sometimes loud, sometimes whispering; she is always gentle with her guidance, showing power only when absolutely necessary. It is a power that does not need outward signs for knowledge of its presence. It speaks through her gentle spirit, through her being. Her spirit models the spirit of Maja's Circle. Maja's Circle began with Maja, Sophie and my search for my purpose in life. I took an Introduction to Psychic Development course and was shown a vision for a center where all beings could obtain their highest potential. Maja's Circle operates on universal laws and principals of spirit and includes people, animals, plants and the environment as well as voices and energies unseen. It is a circle of being; of spirit, in Oneness.. It is a way of life, not work. It is joy and togetherness. It is the universal light and love within us all. One does not work at Maja's. One plays. For in play, we find our true being, our true Oneness in the world. It is through play and lightness of being that we are guided to Maja’s and the Universal Energy. We become one with the energy of the earth — in joy, brightness, and humor. EarthsongHeartmagic is Maja's Circle service program. Consults, seminars, classes and mentoring programs are for those who wish to increase their awareness and knowledge of spirit, inter-species communication, love and universal growth. A Memory Captured is the beginning of Maja's Circle's product offerings. It showcases memorial stones, special occasion stones, pillows, quilts and other gifts. Each is made in communication and input from the animal, person, or place. Thank you for visiting. I hope you enjoy your time in Maja's Circle.